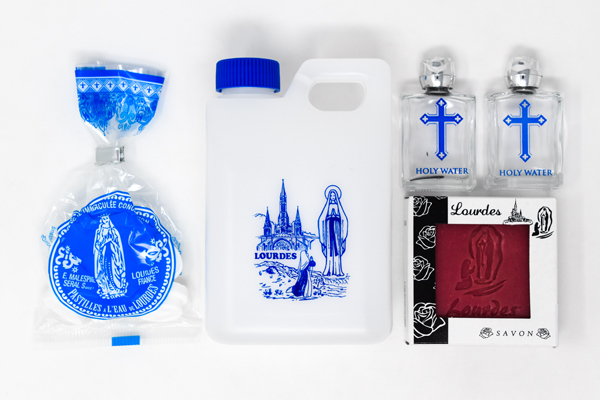 CATHOLIC GIFT SHOP LTD - Apparition Soap & Lourdes Water Gift Set. Apparition Soap & Lourdes Water Gift Set. 1/2 Liter of Lourdes water. 2 Blue Cross Lourdes water bottles containing Lourdes water from the grotto.